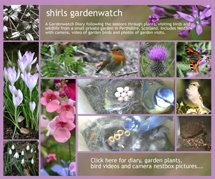 shirls gardenwatch: Siskin male and who? Like the rest of the UK we haven’t exactly had the sunniest of June’s. Surprisingly though, during the wet and windy days the bird feeders in my garden get very busy. Siskins have not been seen in my garden since they left when a male was seen with the finch disease on March 21st - when I slowed up on filling my feeders. You can see a video of this on here. I was delighted to see their return last week and I have tried to capture one with my camera. So, in the rain I spotted a siskin male on a feeder in a tree. I couldn’t properly see what the bird was with it so I stretched out an open window and took the photograph above. The male is seen on the bottom bar. Siskin juvenile or female? I would now like to ask the help of the people I have met online that are knowledgeable on birds. Writing this diary/blog has enabled me to meet quite a few and I joined a bird forum to ask questions when I have been unsure. 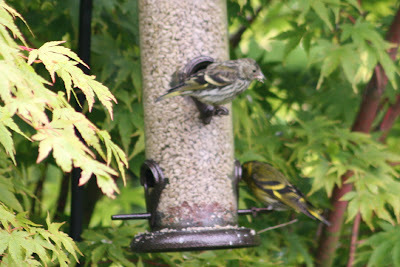 I will post the photo above to the forum later tonight - only because I am thrilled that it could be a Siskin juvenile. I have seen the female siskin in my garden this year already which you can see in videos here. We have seen many young being fed by parents in my garden this year and what a treat this has been – dunnocks, chaffinches, greenfinches, house sparrows, blackbirds and starlings. I have to say though, that these are the ones I have spotted – I wonder if there have been others? When I was out cutting the grass the other night I noticed part of a bird’s egg shell (just before the mower went over it) that was a deep turquoise blue colour with black spots – did this belong to a song thrush. The song thrush is a regular visitor to my garden now and no longer runs away when I go out to work in the garden. 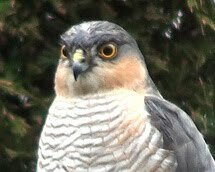 Along with the blackbird and robin it keeps a close eye on what I do when I am working in the garden! think its a juvenile. the head pattern looks different to an adult female. I think so too – that is why I was looking for someone to agree with me. I cannot believe it has been so long since I’ve seen the siskin and a male turns up with young. He was back at the feeders again today but I haven’t noticed the female yet. Shirl: Just found you from May Dreams. I don't think I know of Siskins! Now I know a little! Loved your bloom day post and hope to see more of your gardens! Delighted to have you visit. Thanks - I will post more garden photos soon. The birds which come to our feeders are mainly sparrows, titmice, finches and two great spotted woodpeckers. Blackbirds feed at our log tables along with robins. These birds along with thrushes, starlings, jackdaws, collared doves, and dunnocks feed around the garden on insects and grubs, slugs and snails. I know we have seven blackbirds in the garden just now. they are offspring from two broods. they pipe at me every day until I've left out cat food (the biscuit kind) for them...and when it's done, they pipe at me for more! 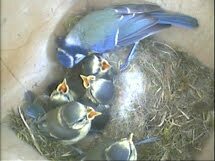 I think we have a thrush's nest and a wren's, as well as lots of sparrows nests, and a starling's on our roof (! ), but it's difficult to tell how many as the ivies on the barn are two feet thick at the moment! My eyes and ears just prick up when I now see and hear Scotland as we have visited your beautiful country this may (and we also visited many famous gardens there).I came to your blog through Bliss. I like to see and read how you are gardening in Scotland, therefore I'll visit you again. Hope you don't mind. Greetings from a rainy and cold Switzerland. Shirl, I understand you are on holiday just now, but when you feel able to do so, I have recommended you for a Bloggers For Positive Global Change award. You will find the details on my post of 10 July. Yes, I have been on holiday and I am now trying to catch up on mail etc. Thank-you very much for recommending me for a Bloggers For Positive Global Change award. I will look further into this in the next couple of days – is there a deadline for nominations? Congratulations on your nomination – you are very deserving of it. I am thrilled you have thought of me! I would imagine you are particularly thrilled with this category too. Gosh, you do have a busy garden! Tomorrow I will put up my main feeding station again – I took it down when we were away. Perhaps then more birds will return. Funnily enough our blackbirds are rather partial to the hedgehog niblets my daughter puts out! 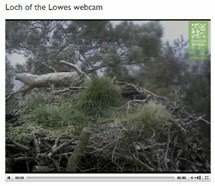 So many nests too – what a delight that must be for you. Yes, I would expect your thick ivy will be a very popular place for the birds – for the insects as well as the shelter for nests. Sorry, I have been on holiday and I am just getting through mail now. 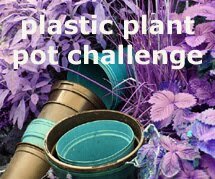 How wonderful to hear from a gardener in Switzerland – isn’t the internet wonderful for connecting people? I do hope you visit again. 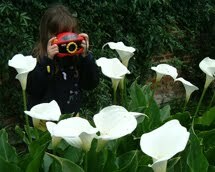 I have just visited your blog to see the gardens you visited in Scotland. 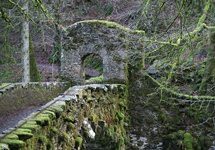 Glamis, Scone and Cawdor I have also visited but my favourite is definitely Branklyn out of your list – which was your favourite and what was it about it you liked most? It is the intimacy of the plants to space I like at Branklyn and the plants that have been collected. I especially love the long border of meconopsis which I see you were lucky enough to see on your visit. Funnily I meant to go there myself to photograph the border this year too - how strange! There are so many plants I like in that garden. Did you see tadpoles in the pond?